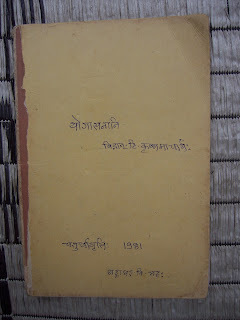 Below is the cover of the Yogasanalu – I looked at references online and nobody seems to have translated this book yet, although perhaps Alex Medin translated a portion. There is a copy at the University of Mysore, but my guess is that it is not in English. I say that the book comes from 1930-40 because apparently there have been various editions of it, making it difficult to place when exactly the book was first written. 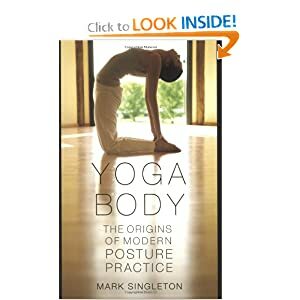 In Mark Singleton’s book, chapter nine, where he talks about Jois and Ashtanga, he mentions the book [Yogasanagalu] and also interviews students from the palace who say that they did not follow a pre-determined series, but rather had adaptations provided just for them, due to their own limitations etc. 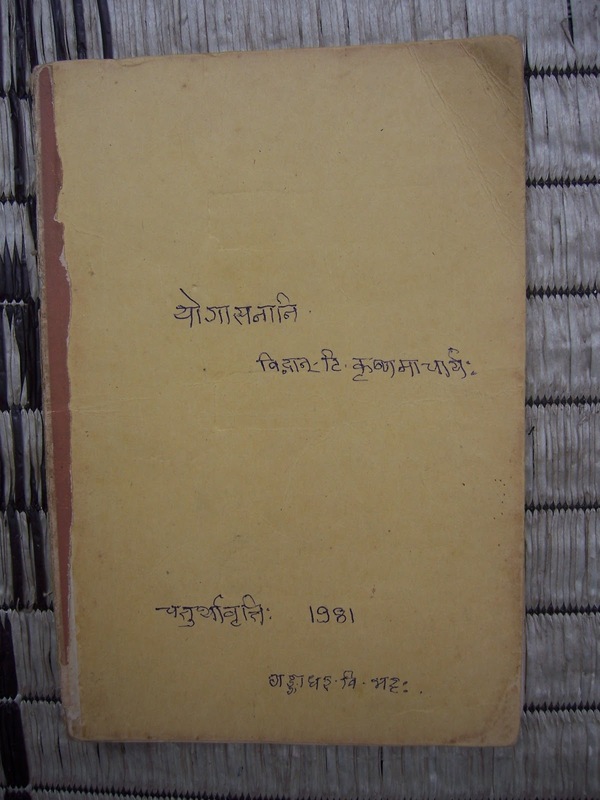 Which means Krishnamacharya had different styles of teachings even then, and as Grimmly says there was no “before and after” style of teachings (before: when he was in Mysore, at the palace, and after: when he left for Madras to teach in his own studio). Are you as curious as I am to continue reading the translation? Eternal gratitude to Satya for the translation effort. Yes, feel free Claudia, post the sheet of asanas too if you like or make your own list from the one in Satya&#39;s comment. Great, thank you Grimmly, I will post the picture of the set of photos you did of the 1930-40s primary series, this is all sooo cool! I find all of this fascinating. I really hope that everyone involved keeps up the good work. It should be made available to the world if it reaches the point when it is fully translated. I would happily pay money to download it and read it in full.